A software engineering professional and lifelong musician, Glenn Olander blended these two passions at Spectrasonics. A graduate of University of California, San Diego and Purdue University, Glenn's career has highlighted expertise in a variety of technologies including computer graphics and web-based applications. With a musical background that includes classical piano, jazz saxophone, and rock guitar, it was inevitable that Glenn would become involved in the field of music technology. His acclaimed Green Oak series of plugin effects was followed by the Crystal software synthesizer, which is among the most popular virtual instruments of all time. 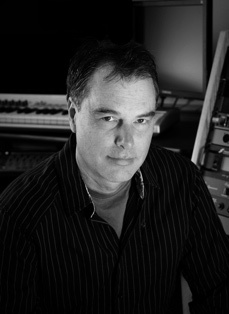 Glenn joined Spectrasonics a short time later, where he served as principal software manager of Spectrasonics instruments through 2015, during the key development of the S.A.G.E. and STEAM Engine technologies and was a principle developer of Stylus RMX, Omnisphere, and Trilian.